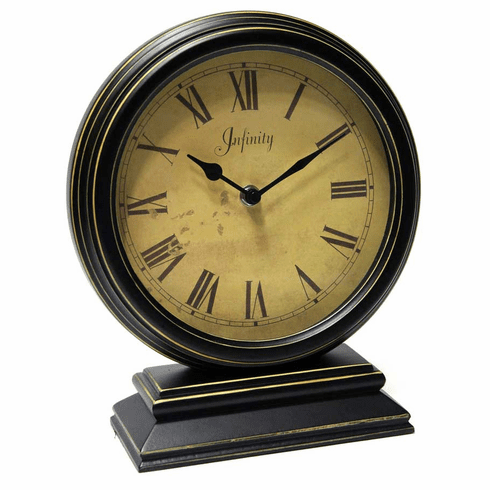 This traditional style round table clock has a distressed case and stand with an antiqued dial. Roman numerals at every hour and black metal hands. Made from medium-density fiberboard.